Every little girl wants to be a fairy tale princess! 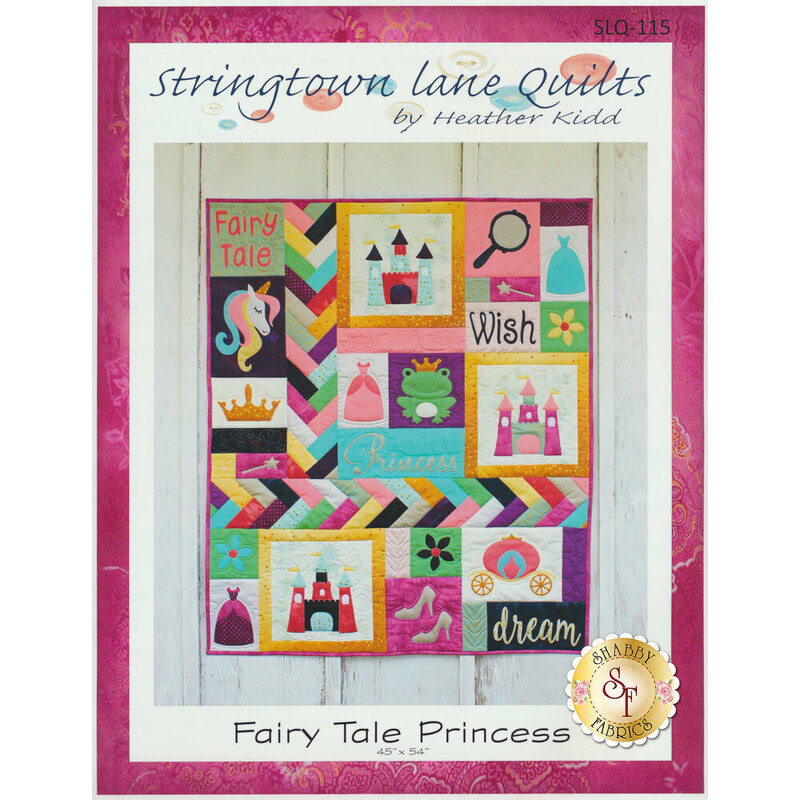 Make your little girl's wish come true with the precious Fairy Tale Princess quilt from Stringtown Lane Quilts! This sweet quilt has everything a princess needs, from a unicorn and ball gowns, to castles and a carriage. 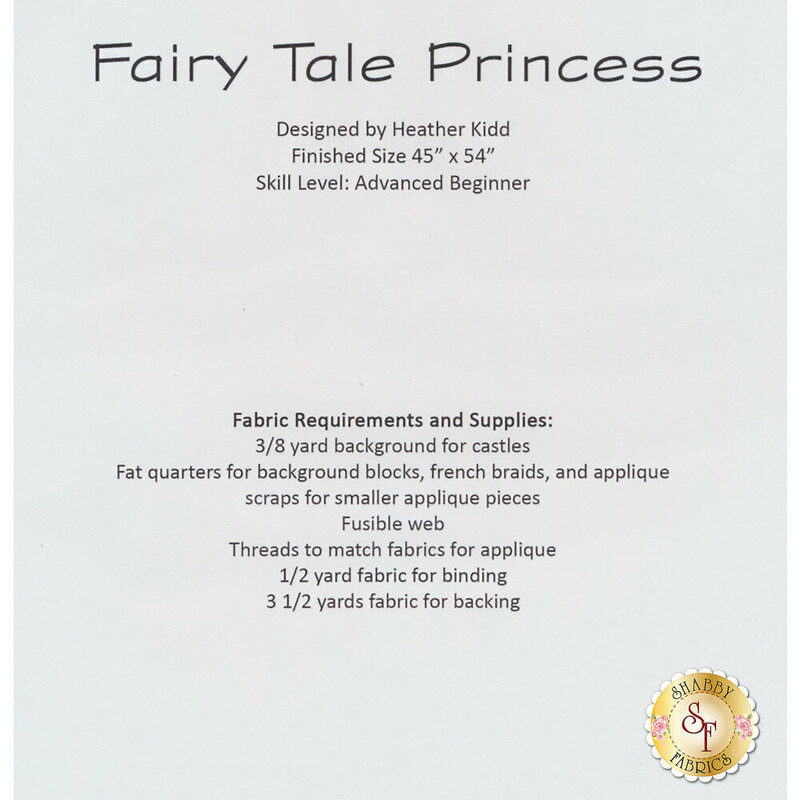 This quilt measures approximately 45" x 54", features applique and is fat quarter friendly.